Weather along the river will stay nice with temps mainly in the 60s and 70s. Time to come to the river or plan your future trip! 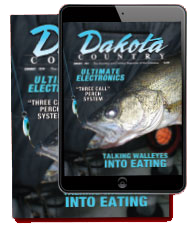 In the Pollock and Mobridge and Akaska areas – At Pollock the fishing is really picking up for walleye. And the walleye are fat and healthy. In the Mobridge and Akaska areas the report is the same – fish are getting active. Depth is anywhere from 8-27 feet with 10-15 giving the best results. Anglers are using jigs/minnows with some starting to use crawlers. The warmer weather is certainly helping the bite. Northern are still biting on smelt in the area and Catfish are being caught along with smallmouth bass. At Gettysburg the water is warming up and fishing is picking up. Around 10-25 feet depth is working well with anglers using bottom bouncers or jigs/minnows and a few using crawlers. Smallmouth, catfish and northern are biting here also. The area around Dodge Draw is doing well for anglers. Around Spring Creek / Cow Creek - On Oahe the bite can still be slower in many areas. The bite will pick up as the weather warms up. Fish are not real active yet with the water temps around 45 to 50 degrees. The catfish action is good. Northern are still biting on slip bobbers and smelt in about 3 feet of water. 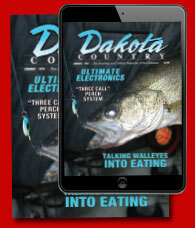 The back creeks of Oahe are producing the best right now. Lake Sharpe - around the Pierre/Fort Pierre the bite is in full swing for spring around the bridges and down to West Bend and along the bluffs. The water temp at West Bend is now over 50 degrees and around Pierre nearly 50 degrees. Depths are around 7 feet or less. Best bait is bottom bouncers/minnows or jigs/. The average walleye is 17 inches. Some nice smallmouth are also being caught. Around Chamberlain , Lake Sharpe is producing walleye, and the bite is good. From Crow Creek to the Big Bend Dam the bite is good on spinners with minnows or crawlers. Water temp is around 55 degrees. Anglers are fishing in 10-20 feet. On Francis Case in the Platte area fishing for walleye is fair, but is picking up. Warmer weather is helping. Anglers are using spinners and crawlers with some pulling crank baits. Smallmouth are being caught here also.